Console gamers take note, GAMEtric, south Chennai’s gaming café is a great place to get your PS4 fix. There’s more games you can shake a stick at here. GAMEtric is the brainchild of photographer and passionate gamer, Leo. The space in Adambakkam was set up the way he wanted his own gaming den to be. From bean bags to crystal clear displays set against dark walls, we could really see ourselves lose more than a few hours on their vast collection of games. A PS4 only gaming café, Leo tells us that he has all the games. What might seem like bragging is just matter of fact because he’s taken so much time to curate a collection right from indie game Overcooked to more well-known AAA titles like GTA 5, God of War and Fifa18. Expect to find newly released games on their shelves ASAP (Far Cry 5 anyone?). The café has six PS4 stations and is open from 10am to 9pm every day. Apart from the large collection of games available, Leo takes time to get to know his audience; he frequently procures games his patrons are interested in (out of his own pocket!) and runs a WhatsApp group for his regulars where there’s gaming chat 24/7 and occasional offers, discounts, and events he broadcasts. 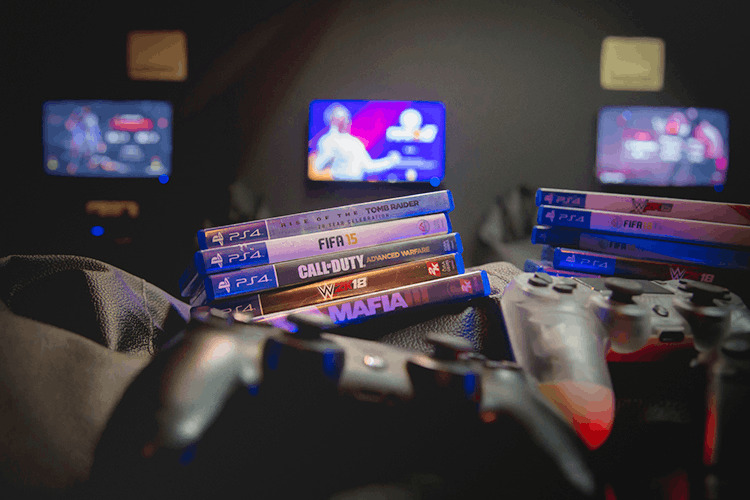 We recommend GAMEtric if you’re a true gaming fan and not just a moonlighting Fifa player because finding gaming cafes in Chennai that have curated lists of games to play is rare and very often buying that many games yourself aren’t an option. If however, you’re a Fifa player reading this do note that GAMEtric hosts tournaments.